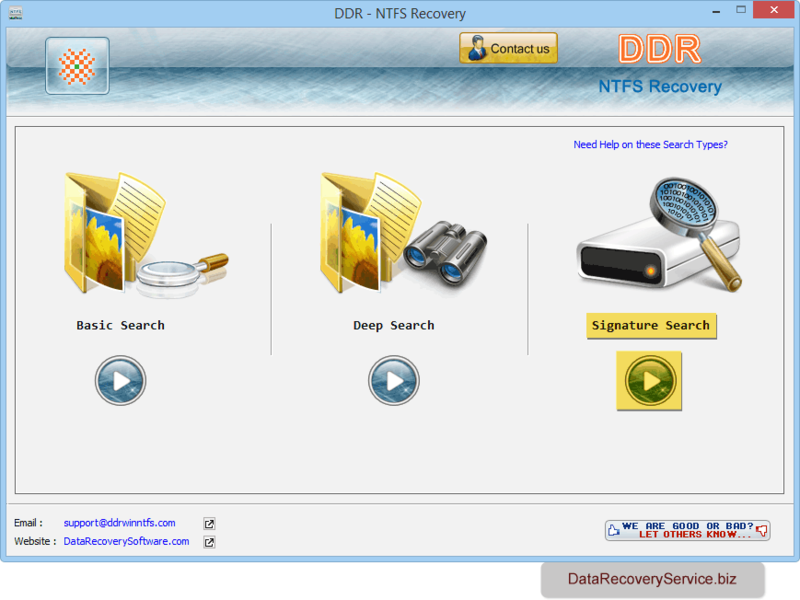 NTFS Data Recovery Software recovers data files lost due to human error, formatted hard disk drive and other common data failure reasons. 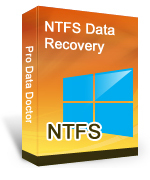 Program retrieves deleted office document files, personal files (such as audio-video songs, photographs) and other significant data files from Windows hard disk drive partitioned on NTFS file system. Professional program salvage lost data which have been emptied from windows recycle bin folders and deleted using Shift + delete key. 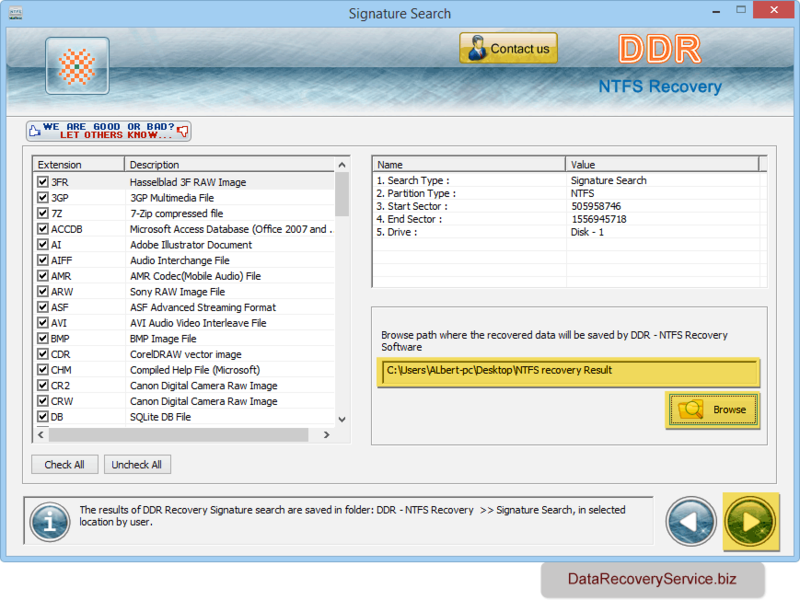 Data recovery software scan entire hard disk drive using powerful disk scanning methodology including standard and advance search techniques and retrieves lost data. 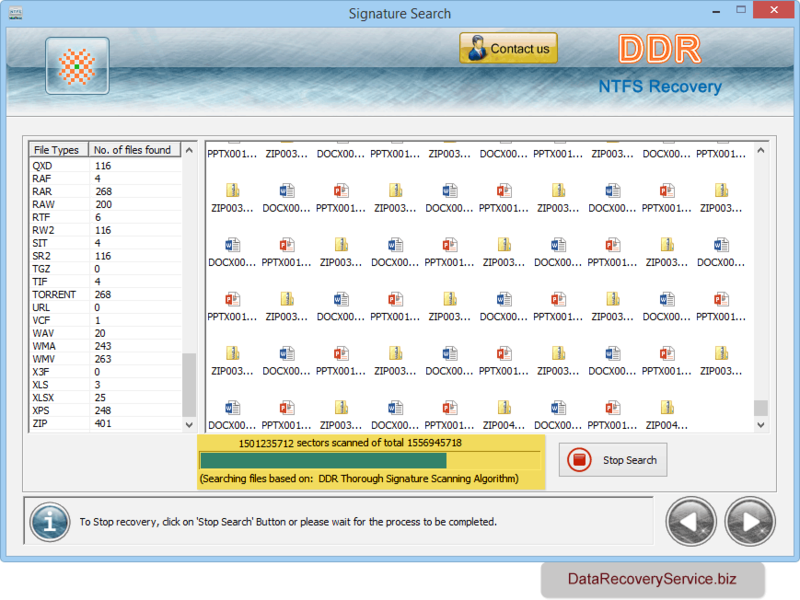 Easily salvage lost or deleted data from logically damaged hard disk drive. 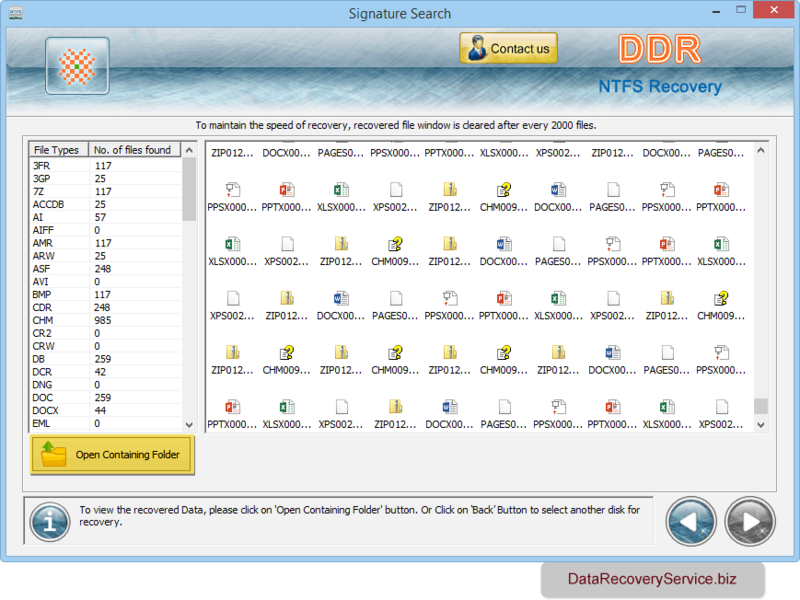 Data recovery support after logically damaged partitioned, formatted or corrupted hard disk drive partitions. Rescue data lost when “Drive not formatted” or “Operating system not found” error messages displayed on your computer screen. Easily works with major hard disk manufactures including Transcend, Toshiba, IBM, Maxtor, Samsung, Fujitsu, Western digital, Quantum, Hitachi etc. Supports hard disk drive standards including ATA, IDE, PATA, SCSI, EIDE, SAS and other hard disk interface. Supports all major text, picture, music file formats including doc, pdf, html, jpeg, gif, bmp, aac, mov, mp3, wma, wmv etc. Software has three searching modes, select any one mode according to your requirement as we have selected Signature Search mode for demonstration purpose only. 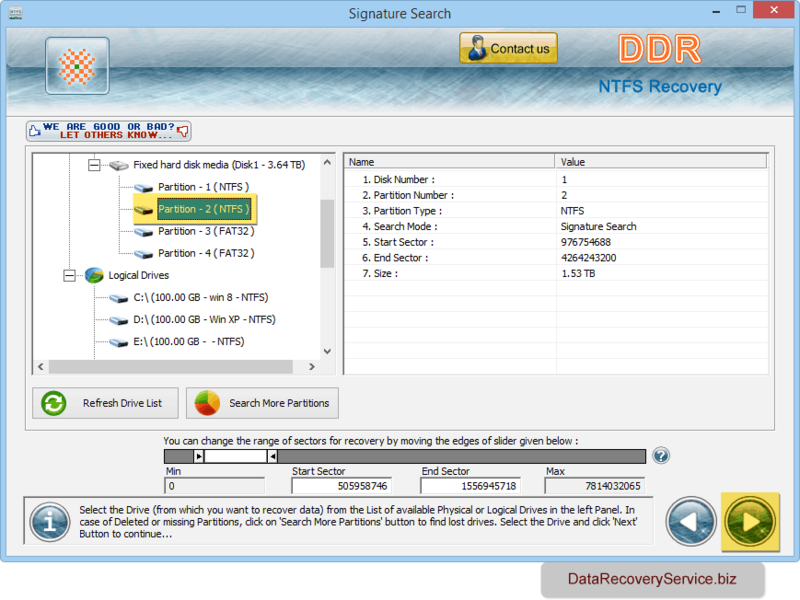 Select partition from which you want to recover lost data and click 'Next' button to continue. Browse path where you want to save recovered data and click Next button to proceed. Lost data is recovered successfully. To view recovered files click on 'Open Containing Folder' button.